I remember a commercial where there was a comparison of a game console, but I don't remember which one. An announcer said, "on the right," and named the game console, "and on the left, Tammy." And then the camera panned to this hot girl. This kid couldn't take his eyes off the girl. Then the announcer said "the choice is clear." Pretty funny commercial; I can't find it anywhere, though. Was it the Sonic commercial with the Genesis and SNES? African-American with autism happily married in Japan. Which one was it and which region? Maybe it was a print ad? 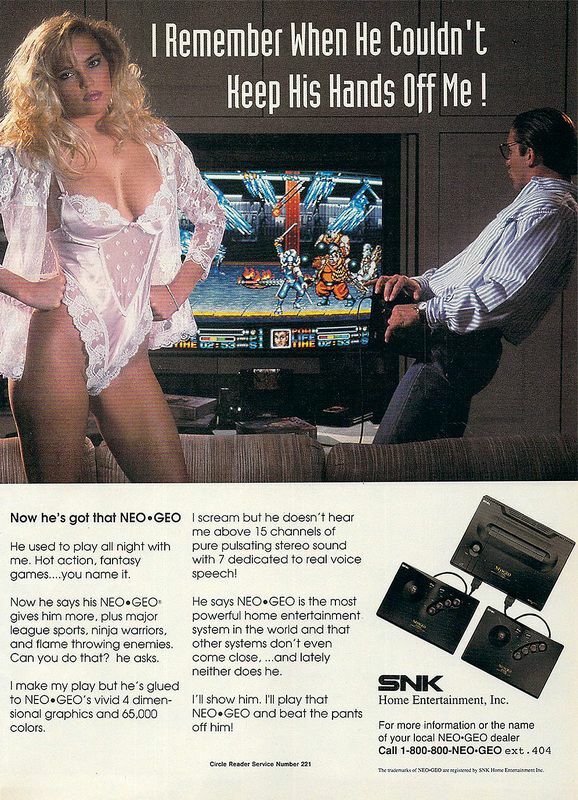 There's a print ad for 3DO with a woman in lingerie complaining her husband/boyfriend never pays attention to her anymore while he's in the background playing a game. Used to see it all the time now google images is betraying me. EDIT: Neo Geo, not 3DO. There's also a similar Sega Saturn one.